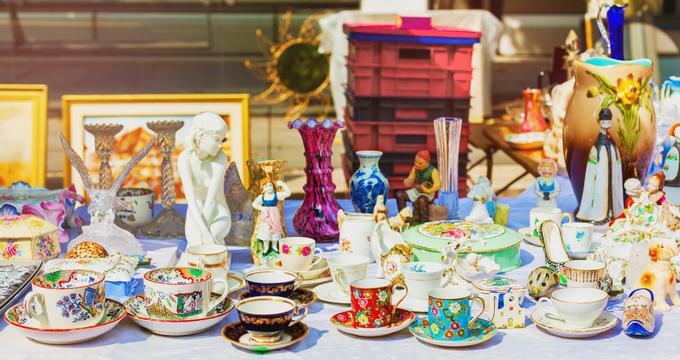 Ohio offers plenty of attractions and activities for the whole family to enjoy, including fantastic flea markets where visitors can spend the day searching for hidden treasures and one-of-a-kind bargains. Home to spectacular natural scenery, tranquil lakes, rugged mountains, and deep, forested valleys, Ohio is the perfect place to spend the weekend camping, hiking, biking, and soaking up the state’s natural scenery. Canton is a friendly city that is renowned for its Pro Football Hall of Fame, which honors National Football League players through a variety of outstanding permanent and traveling exhibitions. From swimming to s'mores, visitors can create new family summertime memories at these beautiful Ohio lakes. Visit Ohio's capital city, home to Franklin Park Conservatory and Botanical Gardens, the Center of Science and Industry and other great attractions. 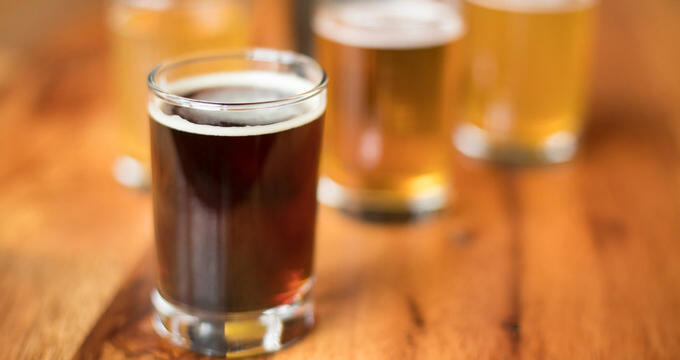 The history of craft beer in Ohio dates back to the early 19th century, with the establishment of a number of local breweries by German immigrants throughout the state’s major cities of Cincinnati, Columbus, and Cleveland. Most are operated by not-for-profit organizations that provide education about the historic role of railroads in the Ohio past. 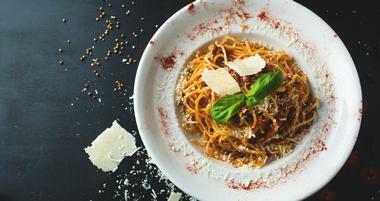 Visitors to the city will be pleased to find a vibrant restaurant scene with no shortage of options, especially when it comes to pizza, pasta, and other Italian favorites. Toledo in northwest Ohio offers a great choice of attractions, parks and restaurants for couples and families. Ohio is situated along the southern shore of Lake Erie in the Great Lakes Region of the USA and offers visitors a wide range of attractions to suit all interests. Cleveland is a large city on the shores of Lake Erie. The city had its heyday as a turn-of-the-century manufacturing hub and artifacts from this time in the city’s history still dot the landscape. Historic attractions include the Steamship William G. Mather which has been incorporated into the Great Lakes Science Center. 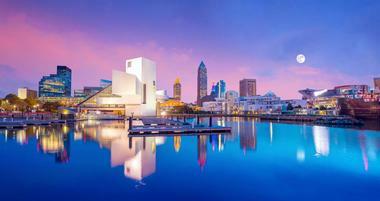 There are a variety of cultural attractions such as the Cleveland Orchestra, the Cleveland Museum of Art and the iconic Rock and Roll Hall of Fame and Museum. Several city parks as well as Lake Erie’s shoreline offer an escape from the city and a chance to relax and enjoy nature. 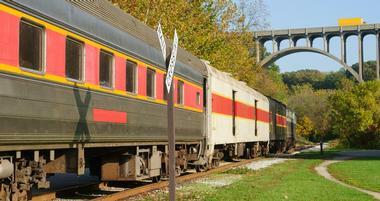 Located on the banks of the Ohio River, this city in southern Ohio offers a wide range of opportunities for visitors. The river town offers visitors the opportunity to take to the water on old riverboats or to enjoy the passing boat traffic from their recently developed riverfront park. Additionally, Cincinnati has a world-class zoo, an impressive aquarium, a large theme park and many museums. For visitors who love to shop, there is a plethora of opportunities ranging from historic shopping districts, traditional indoor malls, outdoor malls, markets and unique shops. If you are into sports, there are several professional and lower teams which provide plenty of chances to watch a game. The Reds, Bengals, Musketeers, Cyclones and Bearcats all call Cincinnati home. 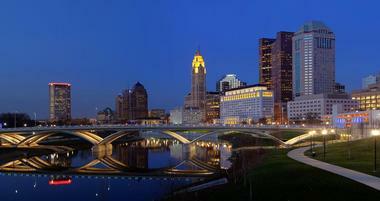 Columbus is both the capital and the largest city in Ohio. Located on the banks of the Scioto River, Columbus has all the amenities, excitement, recreational and cultural activities you would expect from a large metropolitan city. There are a range of family-friendly attractions such as the Columbus Zoo and entertainment and cultural activities throughout the year such as the Ohio State Fair and the downtown Arts Festival. The city is home to Ohio State University and features nightlife highlights one would expect from a college town including the German Village and a range of craft beer destinations in the hopping Brewery District. Toledo is a medium-sized city on the Maumee River in Northwest Ohio. It sits on the edge of Lake Erie and is one of the bigger ports on the Great Lakes. The city’s downtown has many historic buildings and the Old West End near downtown is a beautiful Victorian neighborhood with many historic homes. The Toledo Zoo is known all over the country and makes for a fantastic family destination. The Toledo Museum of Art is world-class and the Art Glass Pavilion is not to be missed. Toledo also has a vibrant performing arts scene with an opera, Jazz society, orchestra, ballet and more. 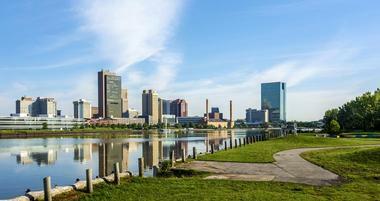 Dayton is major city in Southwest Ohio and is most famous as being the birthplace of aviation. Aviation pioneers Orville and Wilbur Wright lived in Dayton and perfected their aircraft design for the first successful powered flight here. The multi-site Dayton Aviation Heritage Park and the National Museum of the U.S. Air Force at the Wright Patterson Air Force Base both offer an array of opportunities for exploring the history of aviation. The Miami Valley Trails features 300 miles of trails in the area with the Little Miami Scenic Trail being the most trafficked. Additionally, the city’s museums, galleries, performing art centers and sports arenas and fields offer activities for any type of visitor to enjoy. Sandusky is located on the north coast of Lake Erie in Northwest Ohio. The city is best known as the home to the Cedar Point amusement park. The amusement park is home to some of the fastest and tallest roller coasters in the world. The beach at Cedar Point is one of the cleanest beaches on the shores of lake Erie. The historical downtown is beautiful and clean and the waterfront has several boat ramps as well as a pier for fishing. Winter fishing is especially good. Nearby Catawba Island is accessible by a land bridge and plenty of historic sites are located in the area such as the Marblehead Lighthouse and a Civil War cemetery. Akron is a moderate-sized city in Northeast Ohio. The city has long been a center of industry, and has been known as the “Rubber Capital of the World,” and the “City of Invention.” It has been made famous as the home of Quaker Oats. Akron has a variety of attractions including a modern glass and steel art museum, a Zoo with more than 700 animals including a rare snow leopard, the interactive Hale Farm and Village and the historic home of abolitionist John Brown. Visitors can also tour the former mansion home of Goodyear big wig F.A. Sieberling which is comprised of 65 rooms and sits on a beautiful piece of land. Named after Jared Mansfield, the city of Mansfield sits on the fork of Mohican River in Allegheny foothills. The town is perhaps best known as home to the Mansfield Motorsports Park which is a somewhat new NASCAR track and 1/4 mile drag strip. Mansfield’s Living Bible Museum also known as Biblewalk attracts many visitors each year. The museum presents more than 300 wax figures which portray scenes from the Bible accompanied by music and narration. Other attractions include the Richland B&O Bike Trail, Equestrian Valley Farm horse farm, the Mansfield Art Center and the Richland Carrousel Park which features the country’s first modern, hand-carved carousel. Marietta is a small town which is situated at the confluence of the Ohio and Muskingum rivers in southeastern Ohio. The city has long been an important port. The town’s historic downtown and riverfront are easy to walk and a boat ramp provides public water access. Several boats offer guided tours of the river. The Ohio River Museum provides an even deeper look at the river through several interesting exhibits. The city is located nearby a section of the Wayne National Forest which offers ample opportunities to explore the outdoors. Fenton Art Glass on Front street is the country’s largest producer of handmade colored glass and the collectible pieces are popular among visitors to Marietta. Canton is hailed as the birthplace of professional American Football. The Canton Bulldogs have their place in history as the first professional football team. Football fans can re-live the history of the sport and key players at the Pro Football Hall of Fame which is based here. President William McKinley considered Canton his home even though he was born nearby in Niles, Ohio. The William McKinley Presidential Library and Museum as well as the impressive domed structure that was built as a memorial to the former president are all located in Canton. Canton also boasts a Classic Car Museum, an arts center, a theatre, ice rink, orchestra and more. The eclectic Village of Yellow Springs is a artist’s enclave which was originally built as a utopian community. The downtown boasts brightly colored storefronts and many unique shops and interesting cafes with sidewalk tables serving local produce and meat. Yellow Springs is located just a short distance from some of the best natural areas in the state including Glen Helen and the John Bryan State Park. Glen Helen Nature Preserve has approximately 1,000 acres of wooded land with 25 miles of walking trails and the spring that Yellow Springs was named from. Each year Yellow Springs hosts several art experiences, festivals and other exciting events. Hocking Hills State Park is a park in Southeastern Ohio that boasts some of the most breathtaking scenery in all of Ohio. The park features several beautiful water falls, impressive cliffs, deep gorges, mysterious caves and forests all spread across the park’s six main areas. Opportunities to see wildlife abound and include wild turkey, white tailed deer, box turtles and a wide variety of bird species. Cabin rentals and camp sites are available as well as cottages and bed and breakfasts which are spread across the region. A variety of daily programs ensure you will never be bored and include night hikes through caves, owl-watching in the winter and a variety of other activities that are fun for the whole family. Smale Riverfront Park is a scenic riverside park in Cincinnati. The 45-acre park features fountains, gardens, walkways and restaurants. The park’s Event Lawn and Schmidlapp Stage offer a popular space for musical performances and other events. The family-friendly space features a gorgeous and creative playground for children. The adventure-inspiring playground has features such as a rock climbing canyon, twin racing slides and log climbers. The park is conveniently located nearby other Cincinnati Attractions such as the Great American Ballpark, the Paul Brown Stadium and the Roebling Suspension Bridge. The Ohio River Trail runs along the edge of the park and connects the park to other city parks and interesting sites. Rock House is the only true cave in the Hocking Hills region. The cave is located about half-way to the top of a 150-foot sandstone cliff. The main corridor is a 200 foot long tunnel that is 25 feet high and more than 20 feet wide. The cave has several interesting features including seven natural windows and sandstone columns that hold up the ceiling. In the past it was used as shelter for people who were passing through and for Native Americans. It is rumored that criminals used to use it as a hide-out, giving it the nickname Robbers Roost. Conkles Hollow State Nature Preserve is a state nature preserve that includes a deep, and somewhat narrow rocky gorge. The gorge is so narrow and the plant growth so thick that virtually no light reaches the bottom in places. The nature preserve is located within the Hocking Hills area. A hiking trail leads up the half-mile long gorge and is surrounded by tall vertical cliffs. Hikers looking for more of a challenge can hike a rim trail that travels around the top of the gorge. The rim trail offers stunning scenery as the cliffs are some of the tallest in the region. However, the trail is quite dangerous so should be hiked with extreme caution. The beloved John A Roebling Suspension Bridge spans the Ohio River between Covington, Kentucky and Cincinnati and has come to be somewhat of a symbol of Cincinnati. When the bridge was first built, it was the world’s longest suspension bridge. An annual event hosted in Covington each June called RoeblingFest celebrates the bridge and its history. While the bridge is open to car traffic, pedestrians can cross the bridge on foot to fully appreciate the scenic views of the river. There are plaques nearby which tell the story of the bridge. The walking area is nice and safe and there are food stalls on the Kentucky side. Parking is available on either end of the bridge. The Great Serpent Mound Historical Site is a prehistoric effigy mound near the Serpent Mound crater on the banks of Ohio Brush Creek. The mound measure 1,348 feet long and is 3 feet high. It was built by Ohio’s ancient people and resembles a snake with a curled tail. The mound is known around the world as one of the most impressive effigy mounds on the planet. In fact, the Serpent Mound along with eight other earthworks in Ohio are being considered for inclusion on the UNESCO World Heritage List. The site is open year-round but be advised that they do not plow the roads or grounds in the wintertime. Mill Creek Park is a city park in Youngstown. The park is quite large and features more than 20 miles of drive-able roads and 15 miles of walkable trails. All in all the park is about 4400 acres of land making it one of the largest metropolitan parks in the United States. The park features public gardens such as Fellow Riverside Gardens that has a variety of plant displays and a visitors center. The park is also home to the 18-hole championship Mill Creek Golf Course, as well as a mill from the 1800s that is still operational today. There is a nature center, many hiking trails, lakes, streams and wetlands which all offer a wide range of recreational options. Clifton Gorge State Nature Preserve is a 268-acre nature preserve in Ohio’s Greene County. The park’s highlights are its impressive limestone and dolomite gorges, perhaps the most spectacular in the state. Two miles of the beautiful Little Miami State and National River pass through the park, at one point cutting through a deep, narrow channel. The park is a fantastic location to view spring wildflowers, especially on the shaded north-facing slopes. The park has photogenic waterfalls which are accessible by trails with interpretive signs and scenic overlooks. The park has an informative nature center with knowledgable staff to help provide information about the park. Oak Openings Preserve Metropark is the largest municipal park in the Toledo area. 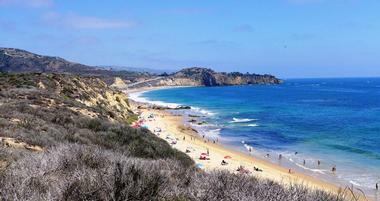 It is an area of preserved nature that includes sand dunes and an oak savanna ecosystem. The park is home to several species of rare plants. The park’s Buehner Center is an educational and interactive nature center that also offers space for hosting parties and events. Oak Openings Preserve boasts more than 50 miles of trails which range from hiking only to biking, equestrian and multi-use trails as well. In the winter, the park has several ski trails available for cross-country skiing. 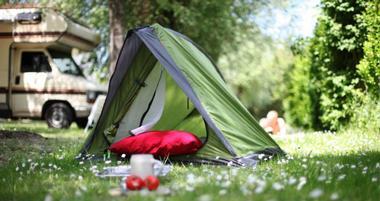 Several lodges, campgrounds and shelters are available for rent to meet any visitor’s accommodation needs. Charleston Falls Preserve is a 216-acre nature preserve that features both prairie and forest land. The park has approximately four miles of trails that are perfect for hiking. The centerpiece of the park is a unique, 37 foot tall waterfall that some call the “Miniature Niagara” due to it having similar rock features. The park is home to several rare plants such as wild columbine, walking fern and rock honeysuckle. 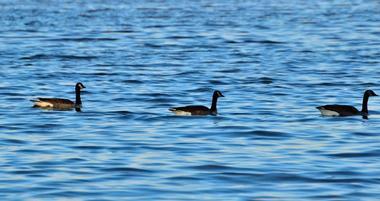 Wildlife may be visible along the hiking trails and from the pond’s observation deck. The park offers nature programs and night-time campfire programming which center around interactive learning. Rockbridge State Nature Preserve is a nature preserve centered around an impressive natural bridge. The natural bridge is one of at least 12 that can be found in Ohio, primarily in the eastern and south central areas of the state. The natural bridge at Rockbridge is the largest in the state at a bit over 100 feet long and a width of 10 to 20 feet. The bridge spans a 50-foot ravine. The preserve has 2.75 miles of hiking trails with opportunities to see a wide range of wildflowers in the spring as well as other natural features, birds and possibly other wildlife. Sandy Ridge Reservation is a 310-acre scenic wetlands area in North Ridgeville. The reserve offers ample opportunities for bird-watching in the wetlands as well as a butterfly garden that is frequented by hummingbirds. The Johnson Wetland Center provides guests with updates as to what birds have been sighted in the park recently as well as a nearby playground for kids. 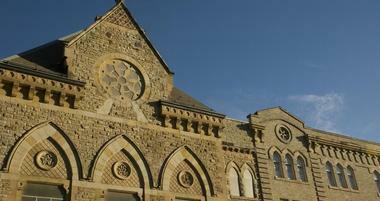 The building can be used for educational activities as well as private parties and events. The trail passes through both woods and wetlands which offer habitat for a variety of birds, amphibians, fish, reptiles and mammals. For a short visit, the one-mile unimproved trail around Wet Meadow is a short, pet-friendly trail that offers a good glimpse of what the park has to offer. Helltown is an area in Boston Township that is legend to be associated with hauntings and satanic activity. The legends come from the large number of abandoned homes that are located in the area. The homes were seized as part of the designation of Cuyahoga Valley National Park and were intended to be demolished but most of them stood for a long time before they were demolished and many were left intact. Stories and legends about the area range from odd to very odd. Cedar Falls is an impressive waterfall located below a grist mill that was built in the 1800’s to harness the power of the water for grinding grain. The falls are not actually surrounded by cedars but by hemlocks which early settlers mistook for cedars, however the name has stuck. Steps leading down to the falls were created by artist, mathematician and architect Akio Hizume and have been named Democracy Steps. The steps lead from the parking lot down the hillside to Cedar Falls. Even though there are nearly 100 steps, they have been designed to be both pleasant and relaxing so the climb is not arduous even on the way back up.